The Andromeda galaxy is our closest galactic neighbor, and it apparently has been hiding a dark past. Scientists from the University of Michigan discovered that this sinister figure cannibalized our sibling approximately two billion years ago. That’s right, at one point, the Milky Way had a sister galaxy, and Andromeda ate it. 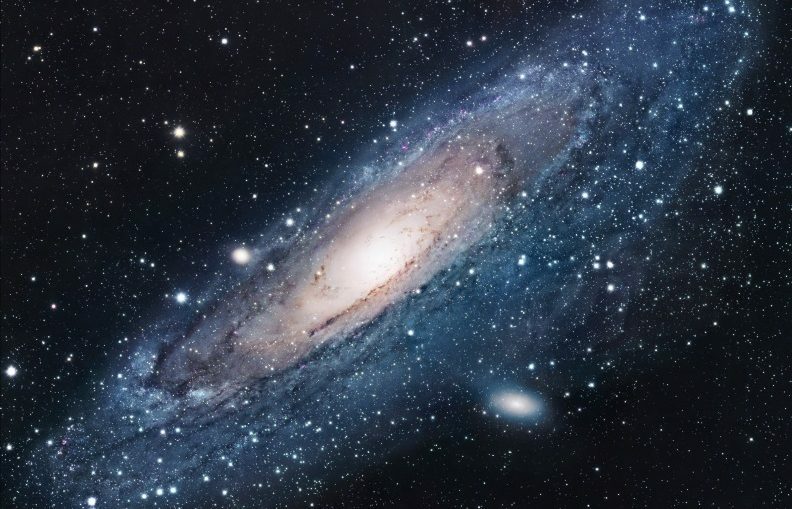 Scientists have been aware for some time that a large galaxy like Andromeda probably ate smaller galaxies around it; that’s where the halo of stars surrounding Andromeda comes from. But there was really no way to determine how many galaxies it had consumed over the course of its lifetime, nor how insatiable its hunger may have been. But now, using computer models, researchers have determined that much of that outer halo is actually composed of one larger galaxy that Andromeda mercilessly ripped into. “Astronomers have been studying the Local Group — the Milky Way, Andromeda and their companions — for so long. It was shocking to realize that the Milky Way had a large sibling, and we never knew about it,” said Eric Bell, a co-author of the paper published in Nature Astronomy about the discovery, in a release. The sister galaxy, called M32p, was massive, third in size only to Andromeda and the Milky Way in our small section of the universe. Not only does this discovery help scientists learn more about the universe around us, how we got here and how galaxies evolve, but it also tells us just how mean Andromeda is. While our large and menacing neighbor is not actually coming for us anytime soon, it’s going to happen eventually, and we’d best be prepared for the fight.